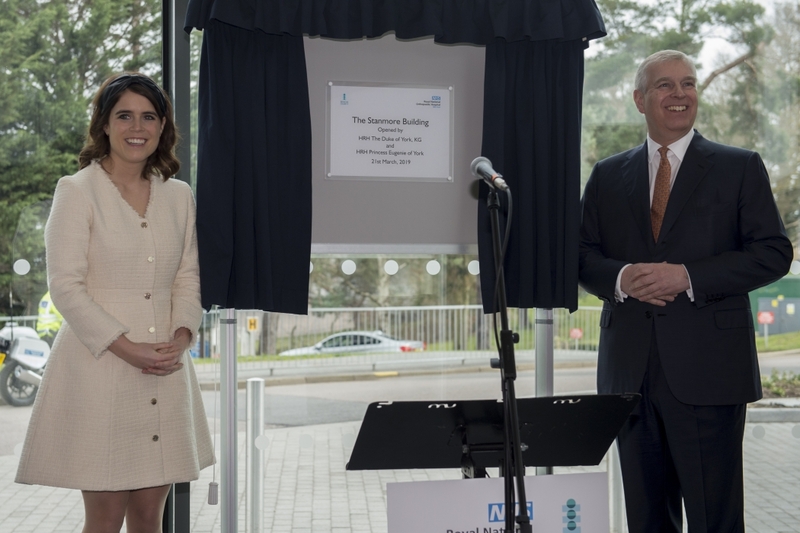 The Duke of York, Patron of the Royal National Orthopaedic Hospital (RNOH), was accompanied by Princess Eugenie, Patron of the RNOH Appeal, for the official opening of the new Stanmore Building, which will offer the very latest inpatient facilities. 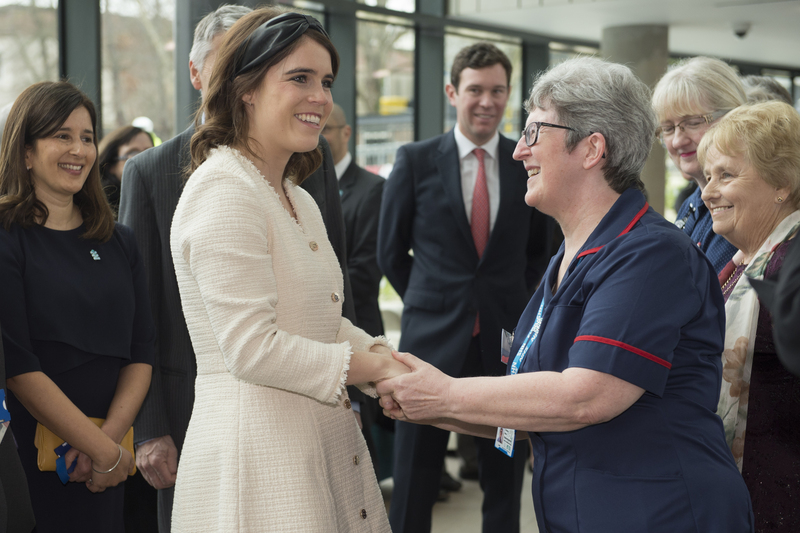 Princess Eugenie, who was diagnosed with scoliosis ages 12, underwent spinal surgery at the hospital, and has supported its redevelopment appeal for a number of years. The Royal Family has a long association with the Hospital, which was founded in 1905 with the amalgamation of London’s three specialist orthopaedic hospitals. During the First World War, the hospital was used as military hospital and was visited by King George V and Queen Mary twice. 1920 saw the start of the hospital funds appeal, with the first fundraising event ‘Buttercup’ launched by The Duke of Gloucester, who was then the RNOH’s Patron. In 1931, Queen Elizabeth The Queen Mother (then The Duchess of York) visited the Stanmore site. Today’s visit started with a viewing of ‘The Tribe’ art installation. The artwork features 50 faces which have been turned into silhouettes and made into striking 3D shapes, the art is a play on the war-paint of tribes. 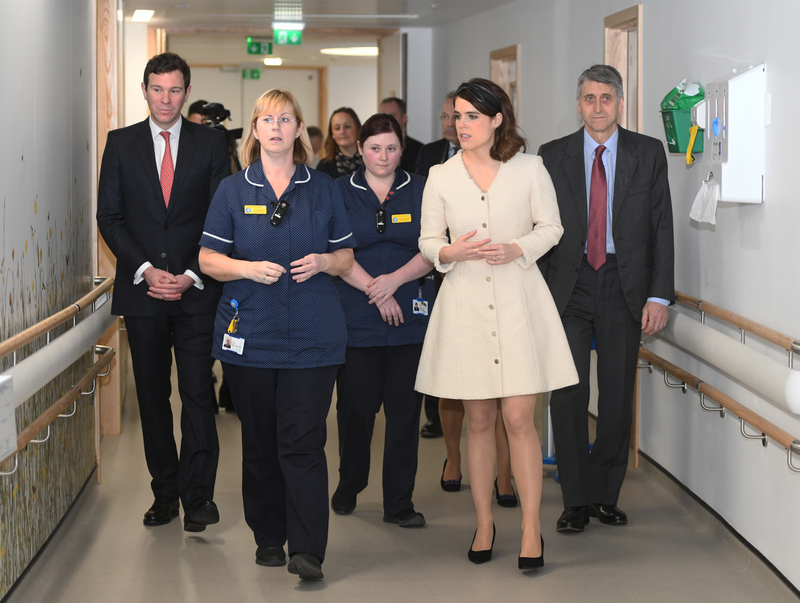 Princess Eugenie is included in the work, which also includes 50 people connected to the hospital– workers, patients, nurses, luminary, cleaners, visitors, caterers – everyone who makes the hospital run. 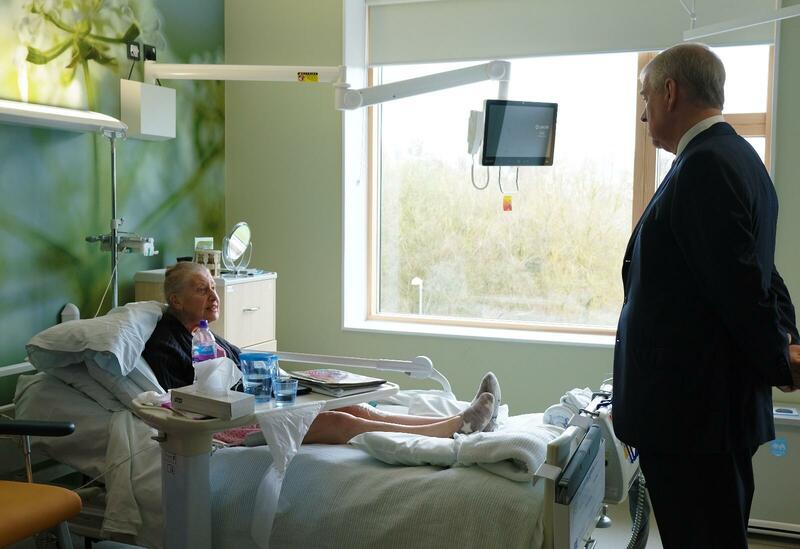 Their Royal Highnesses then were able to visit the new areas of the hospital and meet staff and patients who are benefiting from them, before unveiling a plaque to officially open the new building.